Hello Everyone! Yay, it's Friday! Hope you all have a great weekend:) We are planning on taking little Arya to BOO at the ZOO as long as the weather cooperates! It should be a fun time and can't wait to see what she thinks! It will also be her first time at the zoo!! I cut the card base from the Simply Charmed cartridge using my gypsy to weld the shapes together. The tombstone is cut at 4 1/4 along with the layers. I embossed the white layer with the SU chevron folder and added another fun chevron piece to the bottom with Scrappy Moms Stamps chevron die. I added faux stitching to that piece for a little pop. The sentiment and spooky mummy are from a stamp set that I purchase from Pink Hippo called Mummy Love. I stamped the mummy, colored with Spectrum Noir markers, fussy cut out and then popped with dimensional's. I added a google eye that I had in my stash, freaky ha? The banner is cut at 1 3/4 from the Artiste cartridge which I stamped the sentiment and then attached with dimensional's to the tombstone. I tied on a spider sticker tag with black string that I had in my stash. The sequins I added to the card are from My Craft Spot-the trick or treat collection. The boo is cut using My Craft Spot's small alphabet metal die set. To finish the card, I tied on some black tulle, baby boy crinkle ribbon from 3 Girl JAM and black string bow. So, what do you think??? Have I spooked you out, lol! I will be participating on Sunday, so be sure to come and check out my project and for a chance to win a wonderful prize!! Great color combination. I really like the chevron detail. Thanks for joining in the 3 Girl JAM Halloween with Ribbon challenge. Sherrie what a fabulous card and great job on the mummy! 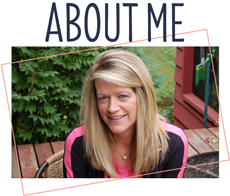 Please share on Pink Hippo facebook page cause i would love for everyone to see it. Feel free to share your post link as well! Awesome Halloween card!!! It looks fantastic! LOVE all the details you put into it, especially the chevron embossing - so great!!! 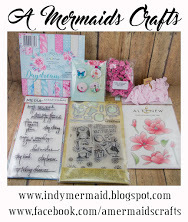 Thanks for linking up with us over at Craftin' Desert Divas!!! Oh my gosh, so stinkin' adorable, Sherrie!! That mummy is so cute!! I love the googly eye!! All of the details are amazing...the embossing, the sequins...everything is fabulous!! As always, you did a spectacular job!! oh Sherrie this card is so spooky cute!! love the shape of the card and the googly eye you added to your mummy!! Hello Sherrie, Wow what an awesome card! Love how you welded the shapes together for the tomb stone......super cute mummy , great creation! Thankyou for your kind comments. Have a great weekend! Ohhhhh this is soooooooooo fun! LOVING that mummy!!!! Ooo, love the chevron and the rest of the details. Who knew black and white could be so fun! Sherrie, this is over the top awesome!! I love this little guy he's all Arrrggghhh! Eeek! Scary! Beautiful project as always! You're so creative. Love coming over here seeing your work. Oh Sherrie this is adorable! I love the little mummy, but the texture and sequins just top it off so perfectly!! Oh my gosh Sherrie, this card is just too clever! Love the fun tombstone card base (the embossing looks great)! You did a great job with that fun little mummy and the little extra touches are awesome. I especially love the spider dangling off of your banner - too cute! Very cute and creative....love it!!! You have shamed me to get my Gypsy out and use it, but am sure I have forgot everything I once learned to do with it...lol!! This is toooo cute!!! Great job.. I hope the weather cooperated for you to enjoy Boo at the Zoo! Your project is spooky cool! How super duper adorable is this Sherrie!! 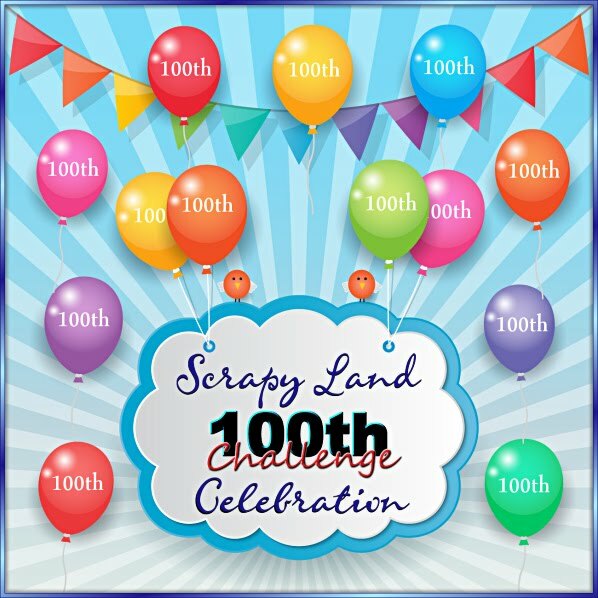 LOVE the fun new stamps and GREAT card design!!! Awesome job my friend! Thanks for sharing and have a GREAT weekend!!!! Thanks for linking this up over at 3GJ too for the Anything Halloween w/Ribbon challenge! You ROCK!! This is so fun and cute! Hope you the weather is good so you can go to the zoo! This is just TOO darn cute for me!!!! !Adorable little mummy!! What a adorable card! Love the embossing and the super cute mummy! Super cute! Love the mummy! Hope Boo in the Zoo was awesome!!! Thanks for creating with us at CardzTV! Super cute. Love the embellishes and the adorable mummy. The card fold is great. Adorable mummy card! My grandson's would love it! This is amazing. Love all the detail. 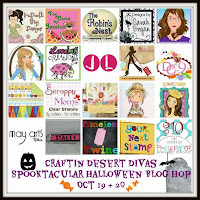 Thank you so much for joining us at Craftin Desert Divas “Halloween“ Linky Party. What fantastic inspiration you have posted here. This is fantastic! I love that googly eye on your mummy - and the chevron embossing is fabulous. What a fun touch with the dangling spider too! I hope you had a blast at the zoo with Arya! Oh Sherrie this is the cutest. I LOVE the mummy he is ADORABLE!!!! Oh wow!!! This is way too cool! I love it!! So creative! 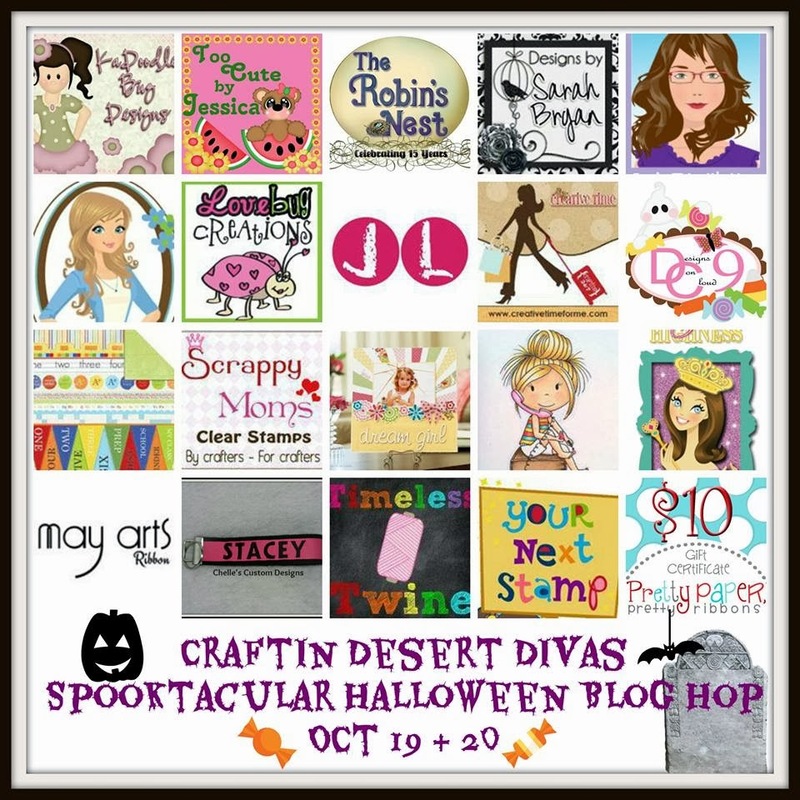 Thanks for sharing at Craftin Desert Divas! Sherrie ~ Alright this is just AMAZING! 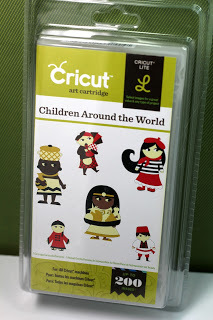 I LOVE that mummy stamp and with this cut its seriously PERFECT!! I have to take a look at this cut again... I LOVE what you did here! I so hope the weather cooperated for the "Boo" zoo especially for her first trip! We have a Boo zoo too! this is plain awesome!! Love the "lone" googly eye :-) thanks for linking up with us at 3 Girl JAM challenges! What a super cute card! I love it. Thanks for playing along with us at CardzTV! !